A lot of the season’s top horses, trotters and pacers, from almost every division, played a role in the stakes-filled weekend. 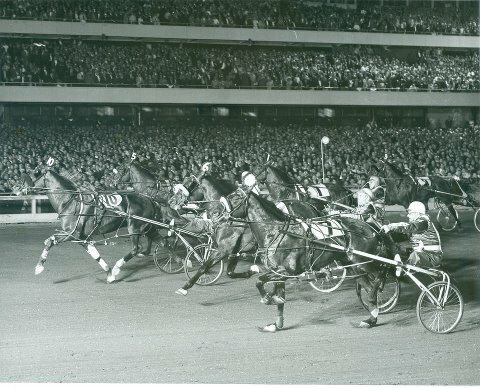 Keep up with race stories and pre-race analysis’s at our exclusvie Breeders Crown Countdown blog and the Hambletonian archive area devoted to the “countdown” stories. The big story of the week, on Sept. 1 at Mohawk, was something to behold as frosh-pacer Captaintreacherous took the $1-million Metro Pace in 1:49.2. 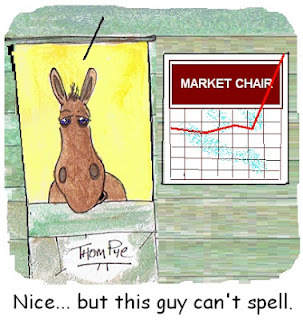 He may be the super horse of the season, as predicted. He took off late in the mile, just past a sizzling three-quarters in 1:21.3 (yikes, remember these are two-year-olds) but once he got started he didn’t stop for no other closer. Captaintreacherous paid $3.70, which, considering the territory, could be considered generous. We also nailed a Simcoe Stakes that night as Little Brown Fox won battling against soph-colt trotters in a sparkling 1:51.4, paying $5.10 against the favorite. At Pocono, we passed on Check Me Out again, suggesting she would be invincible in this group and she was just that, destroying the world record for soph-filly trotters on a five-eighths track with a win in 1:51.3. She paid $3.40, arguably an overlay. Also in the sires-stakes finals for sophomores, we nabbed Economy Terror, the soph-filly pacer, as she won and paid $4. Our choices on the other stakes on the Mohawk program Saturday were not so productive. 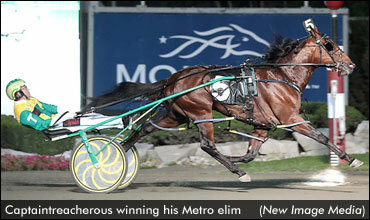 The Canadian Pacing Derby bettors made We Will See 5-1 but a remarkable mile from Foiled Again (15-1) won it. In the She’s A Great Lady, Macharoundtheclock (12-1) made a bold first-over move and hung from the effort, finishing 10th; the favorite won. Rebeca Bayama was only 5-2 in the A Spring Of Hope but she wound up fourth to the huge public choice, Put On A Show. And Teresas Beach broke badly in the Metro Consolation, having no chance to compete after running. With his win in the Canadian Pacing Derby, Foiled Again became the richest pacer in history. His winning share of the event earned him enough to balloon his earnings to $4.3 million. He did it in less than six seasons. It’s another feather in the cap of trainer Ron Burke, who kept the stalwart pacer strong through each season. He was a longshot in this field for many reasons, one because he had a poor win record thus far this season and was up against some powerful recency. Drop The Ball, now four, met her usual pacing-mare contestants at Philadephia on the last day in August, only this time she went faster than she ever won before. 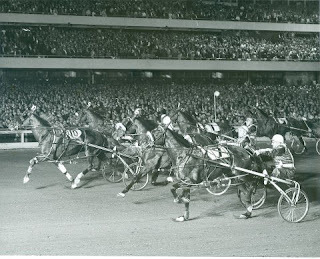 Her 1:48.4 win made her the fastest four-year-old pacing mare in the history of the sport. It was only a Mares Open Pace but she did most of the speedy work alone. It was her fourth win of the season. Grand Circuit racing continues at Mohawk through the week. On Sept. 4 there are more Simcoe Stakes, these for soph-filly trotters. Then on Sept. 8 frosh pacers of both sexes go in Champlain Stakes and soph colt pacers battle in Simcoe Stakes. The “Circuit” takes a short break after Mohawk, returning on Sept. 19 for the historic Little Brown Jug week at the Delaware, Ohil County Fair. Windsor Raceway is officially closed. The Ontario track gave up the ghost after slots money was denied by the province gaming commission. It was a top track once and in its waning years it was a great place for overlays in overnights, with a true bias for trip handicapping. To read more about the track, see the Vast Performances link below. Freehold Raceway, however, started its latest meet. America’s oldest pari-mutuel harness track will present a 51-day summer/fall meet. Freehold offers a $5,000 guaranteed Pick-4 (races 2-5) each day of the meet. Freehold races three days per week, Thursday through Saturday. Hi – Will you please post a link to your Blog at The Quarter Horse Community? Our members will love it. It's easy just cut and paste the link and it automatically links back to your website… it’s a win win. You can also add Photos, Videos and Classifieds if you like. It’s free and easy.